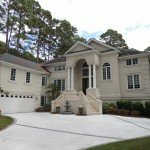 Hilton Head Luxury Homes, Inc. provides convenient access on our website to all listings for oceanfront homes, luxury homes, and homes in gated communities on Hilton Head Island and in Bluffton. With just one click, you will have unlimited free access to information and pictures of luxury homes with prices ranging from $700,000 to $10 million in each community. Whether you choose an oceanfront estate, a deep water home, a golf view home, or one in a private golf community, your search starts and ends here. To preview the luxury homes for sale on Hilton Head and Bluffton is very simple, justclick on the links on the left of the web site or call us today at 800-414-7253. At Hilton Head Luxury Homes, we cater to your every need. With decades of Real Estate experience, Hilton Head Luxury Homes can help you with your purchase by creating and sending you videos or digital photo albums of properties for you to preview prior to your arrival. We can help you locate an interior designer or luxury home builder for remodeling or building homes. We can provide names of attorneys and mortgage companies to enable a smooth closing process. Then when you arrive, we will provide you with all the assistance and knowledge to help you purchase your luxury home. If you would like to visit Hilton Head and book a luxury vacation, please go to our sister site, www.HiltonHeadLuxuryVacations.com to see oceanfront vacation homes and condos and luxury rentals near the ocean too. Hilton Head Island offers you a variety of choices in luxury real estate. Oceanfront homes, homes near the beach, waterfront homes with private deepwater docks, private golf community homes or estate homes – some with access to Polo fields – are all located on Hilton Head Island or in Bluffton, SC. Luxury homes in the area are considered to be in the top ten percent of the market if they are priced at $700,000 and above. Oceanfront homes on Hilton Head will start around $2 Million in the Singleton Beach area to over $4 Million in the gated communities. Deepwater homes in gated communities range from $1.5 Million to over $6 Million. Private golf communities in the area with signature golf courses have deepwater homes to luxury homes on the golf course starting at around $700,000. Estate homes are rare but provide the ultimate in luxury and privacy with lots ranging in size from 1acre and higher. Now is a prime time to purchase as the luxury market has taken a hit over the last few years, and buyers are now moving back in to the area to scoop up the best deals. Many of the luxury homes have dropped in price 25-35% below the peak of the market. A real deal would be a home that is priced at close to 50% of the peak price. In many cases, prices are well below the cost of building a newhome. If you want a prime lot with a gorgeous home, now may be the perfect time to purchase your luxury home in Hilton Head Island because of the lower prices, lower interest rates, and the upturn on the NYSE. When you find your dream home, we can provide you with connections to remodel or update it if needed. The builders on Hilton Head Island have decades of experience. Interior decorating is the specialty of many local firms. Hilton Head Luxury Homes will simplify arrangements for you so that you can continue to focus on your busy life. We can assist you in finding a rental luxury vacation home while you are shopping for your property. We will connect you to the best quality builders and designers in the area to make your move to Hilton Head a smooth one. Let us help make your dream of owning a luxury home on Hilton Head a reality. Call 1-800-414-SALE (7253) today to being to view the home of your dreams. Thank you, Robert Young, Broker In Charge, Hilton Head Luxury Homes, Inc.